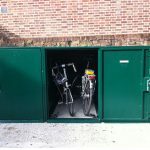 The robust and weatherproof Double Bike Locker is a great way of storing two bikes securely at home or at the workplace. 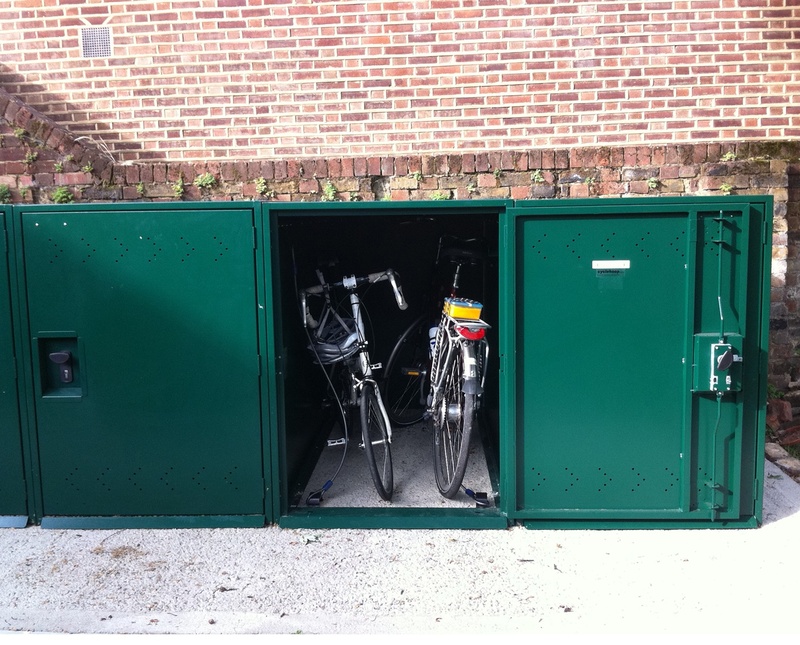 This locker features a large easy access door and a durable three-point locking system which allows the user to secure bikes with ease. 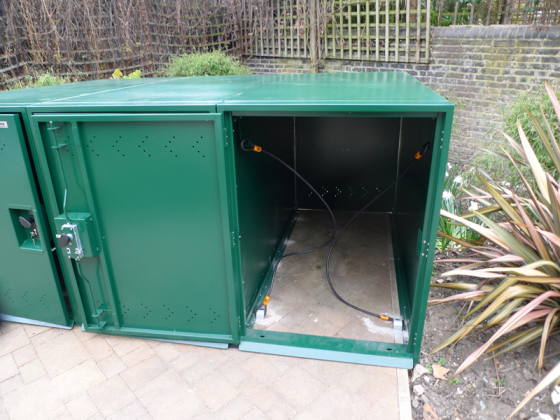 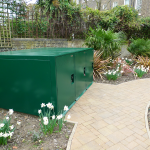 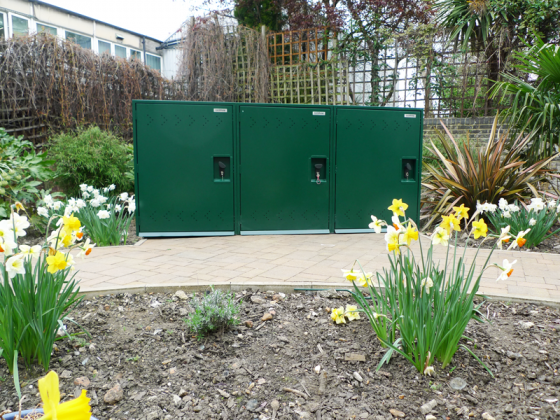 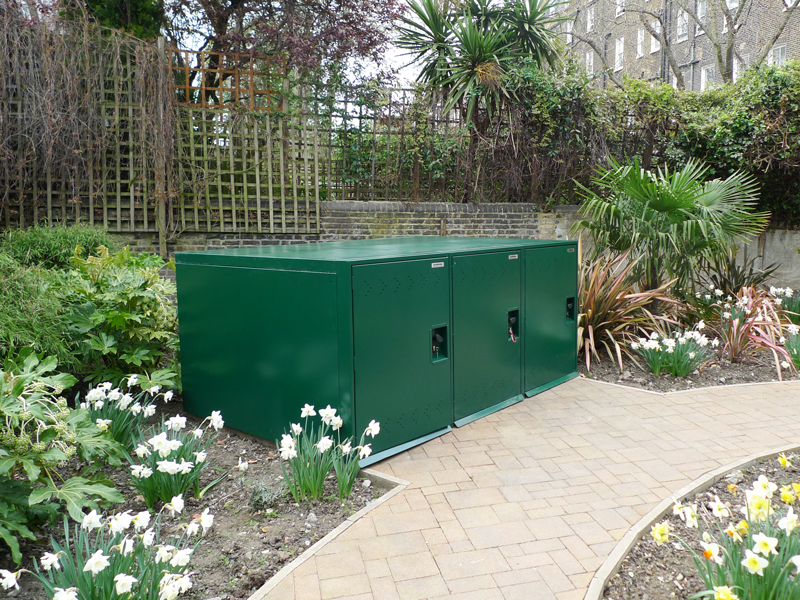 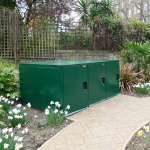 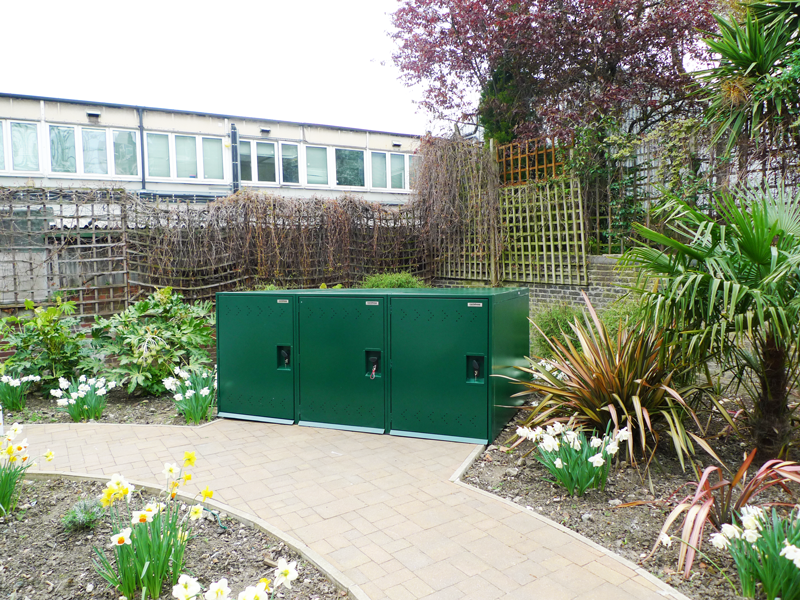 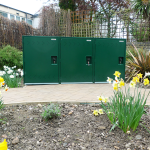 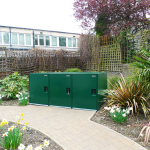 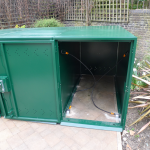 The Double Bike Locker is ideal for areas where space is restricted, but bike security is important. Optional kit hooks are available for storing helmets and clothing inside this metal bike storage unit together with your bike. 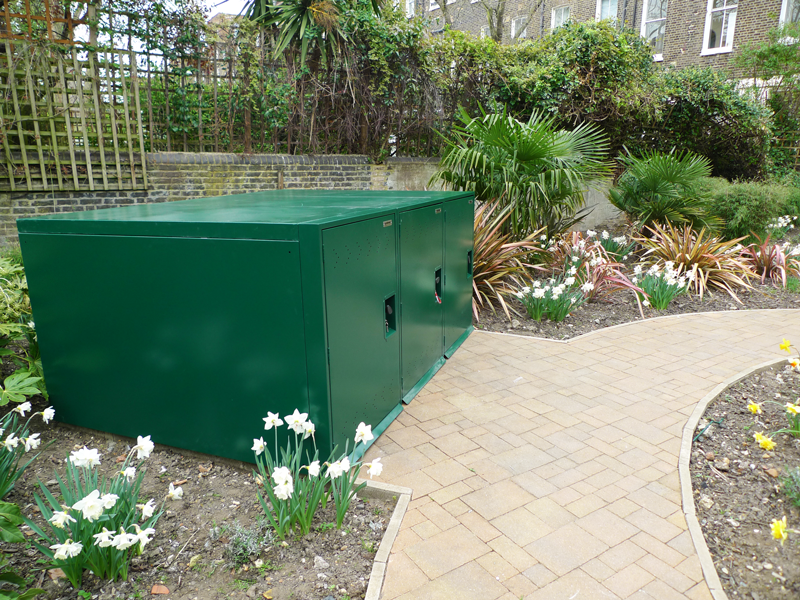 This product does not have an integral metal floor – it is bolted down directly to the ground (concrete base).